Choosing the downhill skis that are right for you should be fun, but it's also important to purchase skis that work for you. After all, having skis that fit your skill level, personal goals, and discipline of skiing will make sure your time on the slopes is both safe and enjoyable. Here's how to figure out what alpine skis are best for you. 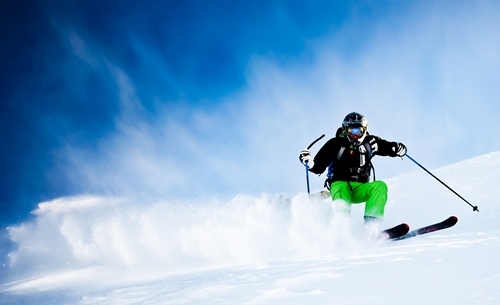 There is a wide range of various types of ski on the market. The right model for you can be chosen depending on your height, but also your skill level, favourite style and terrain. That's exactly the right mix for the best skiing experience. 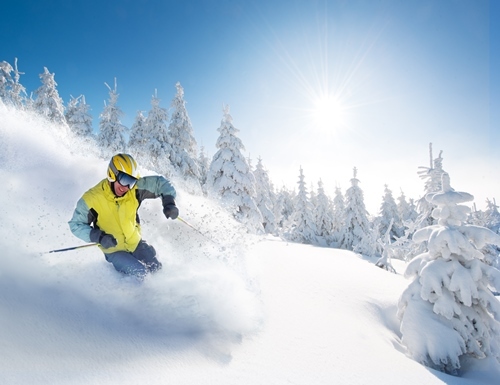 If you consider yourself to be a recreational skier with regular skiing parametres, you can be sure with the right choice. 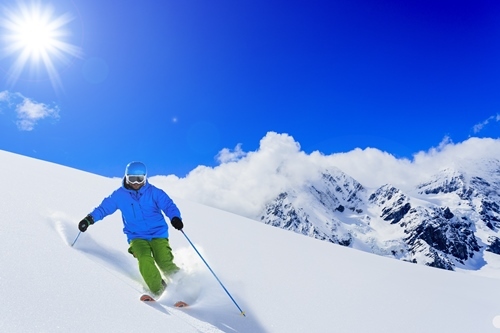 Generally speaking, skiers with lower weight can use lighter and shorter skis. If you are taller and heavier, try to find harder and longer skis with a sandwich construction, which has the best properties for you. 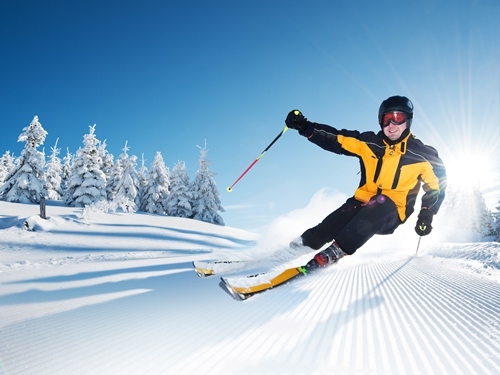 Recreational downhill skis - Slower to medium speed skis used mostly for maintained terrain are the best choice for beginners and intermediate skiers. Recreational skis provide the best experience for those, who prefer comfortable ride over speed. Performance downhill skis - Sport models are suitable for more demanding and advanced skiers with a good skiing technique. 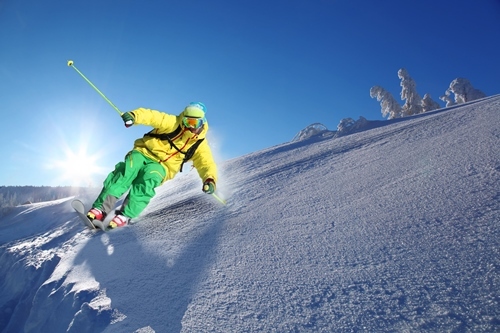 Race downhill skis - Race models are suitable for skiers who have perfectly managed the skiing technique and who require maximum speed. Universal downhill skis for the wide public can be found amongst recreational and performance models. 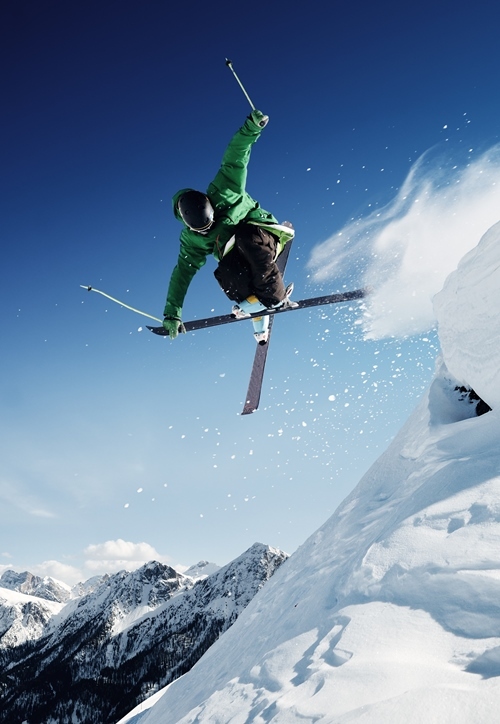 Skier's usually reach medium speed in medium arches. Univeral all round. You can use them on maintained slopes and open terrain, but don't expect any extremes. The width of such skis ranges between 72 and 79 mm. Various models come with various levels of hardness. An important aspect is a turn radius. Universal models for medium turns feature a 14-16 m radius. Regarding the length, the skis should be 15 cm shorter than the skier's height. Less is also possible, but the skis should never be taller than the skier. Skicross models have very similar parameters as All-mountain skis. These skis are usually construction for medium turns (14-16 m radius) and medium speed. This wide category offers many sport models, which differ in width and hardness, but also in construction and technologies. Skicrosses with their width around 70 mm are suitable mostly for groomed slopes, but can offer you a stability even in a softer terrain. Skis with a radius between 11 and 13 m are designed almost exclusively for groomed slopes. Short turns on skis with excellent torsional rigidity are great for aggressive riders, but also for those who enjoy slower funcarving. Optimal length is an important parameter. Slalomcarver skis should be 10-20 cm shorter than the skier. Shorter skis have a lighter construction and could be too soft for you. Longer skis are suitable for skiers with an excellent technique who can perfectly control their skis. You can choose between performance and technologically advanced race models. Sport models for long turns with over 15-meter radius are designed primarily for maintained slopes. They are suitable for medium and higher speed. Performance skis are better for medium turns and should be 10 cm shorter than the skier. Race models are designed for very long turns in giant slalom with 21-meter radius and bigger. 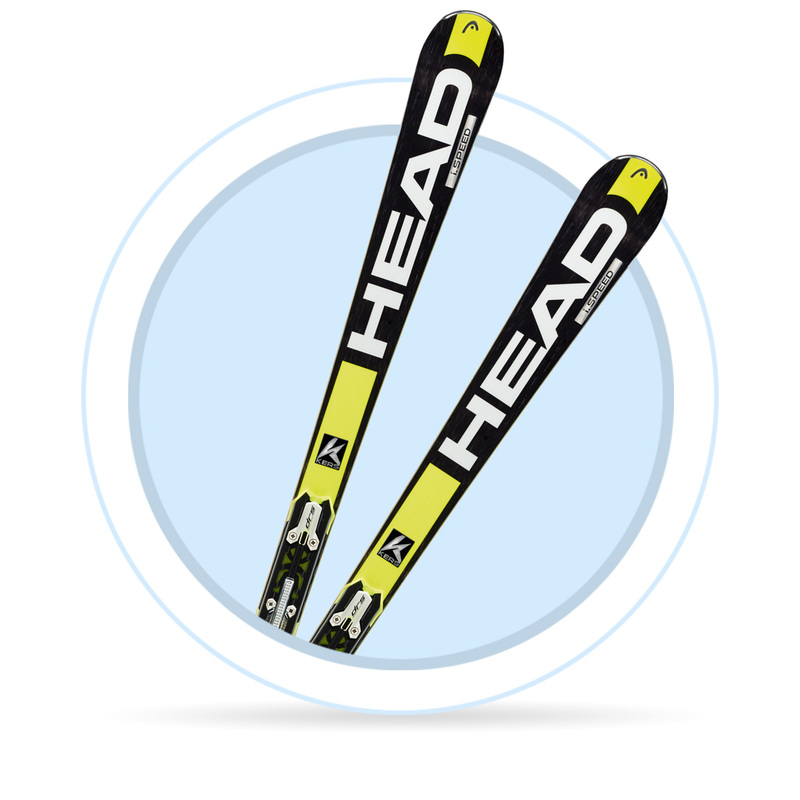 These skis are definitely suitable for narrow slopes, and can be up to 10 cm taller than the skier. Freeride models are designed for terrain and deep snow outside of groomed slopes. Their construction is adjusted to the needed stability with their length and width, which is more than 100 mm under the bindings. Freeride have a special construction and are not suitable for maintainted pistes. Freestyle models are especially strong and durable to withhold all kinds of on-the-snow and in-the-air manoeuvres in snowparks. When choosing a downhill ski, it's better to look at all makes rather than focus in on only one; choosing from one brand will greatly limit your choices. There are many brands on the market that all offer similar features in construction, technology, length and overall design. But all manufacturers will also offer distinct features that differentiate their products from that of the competition. It's better to have several options and then take some time to decide which features are most important to you and your preferred style of skiing. You'll find many options in our full line-up of skis from leading brands such as Atomic, Salomon, Elan, Head, Völkl, Blizzard, Rossignol, Dynastar, K2 and Fischer.